and blue as in the U1 B’s matching blue silicone rubber diver’s strap. BTW if you prefer you could have your U1 B on a matte finished TEGIMENT steel bracelet instead. 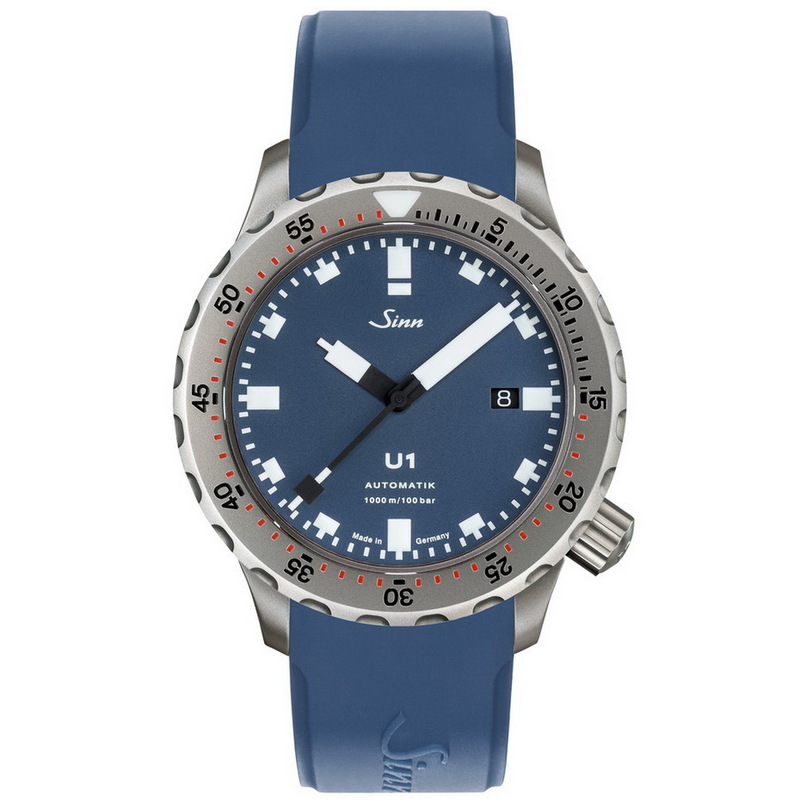 This is a U1 diver so it gets a case made of high-strength German Submarine Steel which is extremely seawater-resistant as well as having exceptional non-magnetic properties. 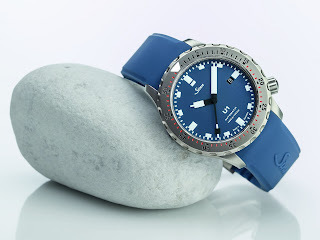 Hardened using TEGIMENT Technology and therefore especially scratch-resistant, the U1’s captive diver’s bezel with minute ratcheting is also extremely resistant to knocks. The U1 B boasts DNV GL verified certificates of pressure-resistance to a diving depth of 1000 meters and is temperature resistant in accordance with the EU dive watch standards. Thoughts? 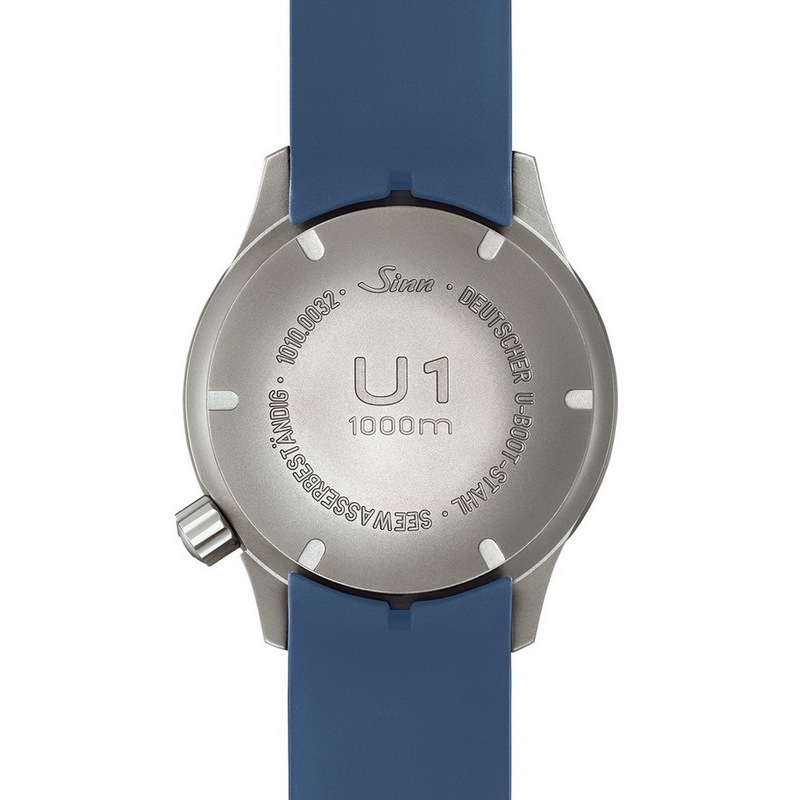 The U1 is still going strong thanks its flawlessly German engineered no-nonsense design. 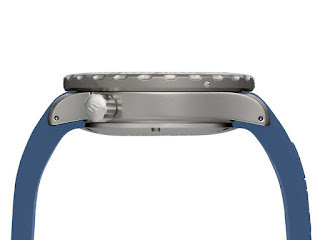 It looks absolutely perfect in blue plus simple white hands and markers – way nicer the than THIS.